I have a friend who checks in on the blog time and again and he recently asked about any upcoming Funky or Crankshaft books that might be in the pipeline. Well, guess what? It turns out that when I checked… there were. These books, in fact, are so in the pipeline that they haven’t even emerged yet. 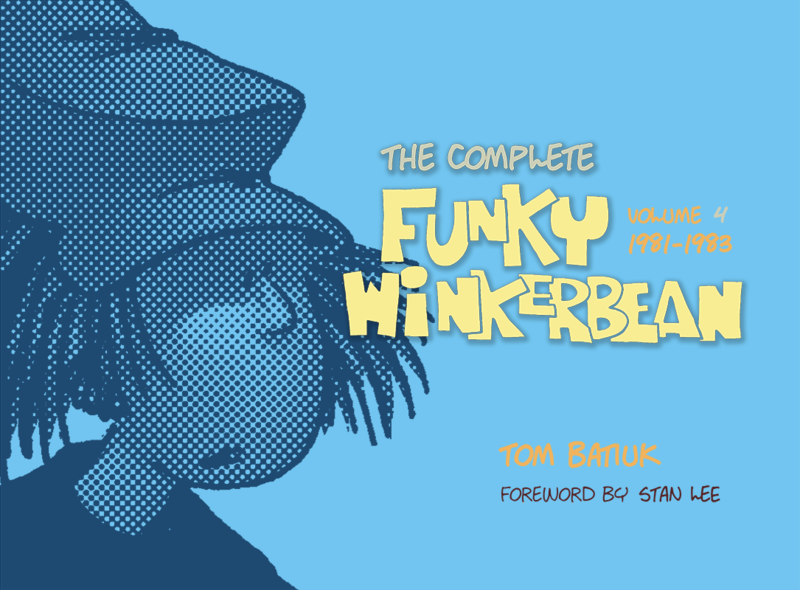 Due out this Spring is Volume 4 of The Complete Funky Winkerbean from Black Squirrel Press nee The Kent State University Press. The KSU Press likes to bring out my books under the Black Squirrel imprint in order to provide cover and for plausible deniability. Volume Four covers the years 1981 to 1984 and along with containing three more years of the early funny ones also includes a lot of never-seen-before behind-the-scenes stuff from that period. It’s a little peek into the drawer of comic strips that never were as it were. Also tucked in the book pipeline is a Crankshaft book entitled Roses in December under the KSU Press imprint. I’ll have more to say on that book in a future post. Before I go, I feel that it is incumbent upon me to point out the role that my alma mater Kent State played in Ohio State’s newly minted national championship. Ohio State had just come off a home loss to Virginia Tech and the potential loomed for the season to take a rather grim turn. However, the next team up was Kent State who the Buckeyes soundly thrashed to the tune of 66-0. Without that booster shot of confidence, Ohio State might not have climbed back up to the top of the heap. But thanks to my alma mater, they were able to dramatically turn things around and the rest, as they say, is history. Just for the record.